This Husky with stick has one blue and one brown eye and is a large figurine. 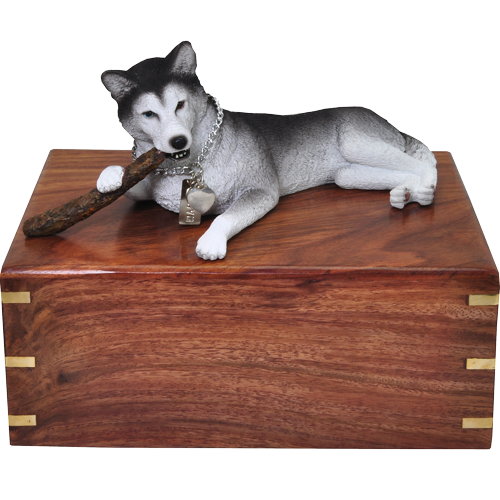 Our black and white Husky with stick sculpture is featured on the top of a wooden urn available in two sizes. The urn base can be engraved directly onto wood surface or a plaque in silver or brass finish. 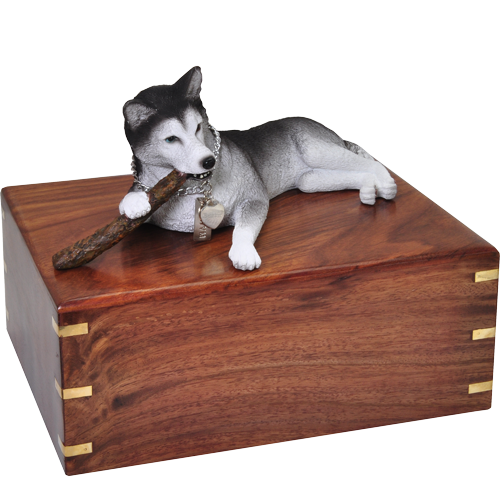 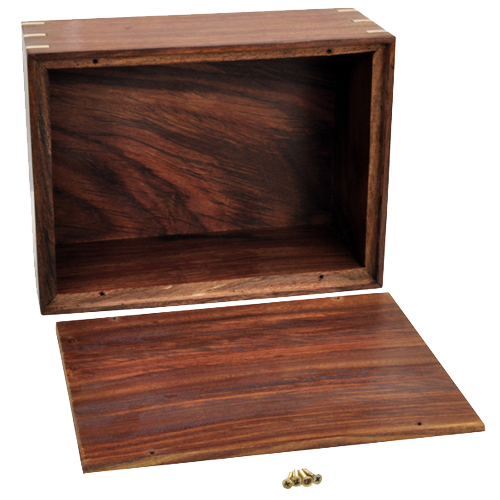 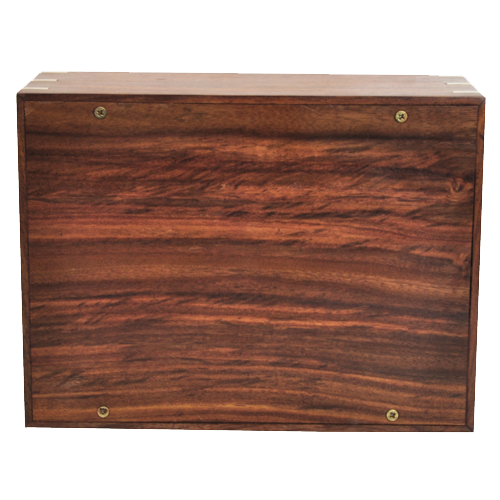 Urn opening is located on the bottom and is fastened with threaded screws.